“The target to install 175 GW of renewable by 2021-22 looked ridiculously ambitious when first announced. But it seems all too achievable with both major domestic and global firms increasingly endorsing these plans, including Softbank, Foxconn and Bharti's US $20-billion announcements for 20 GW of new solar capacities,” says Tim Buckley, co-author of the report and director of energy finance studies for Australasia at IEEFA. 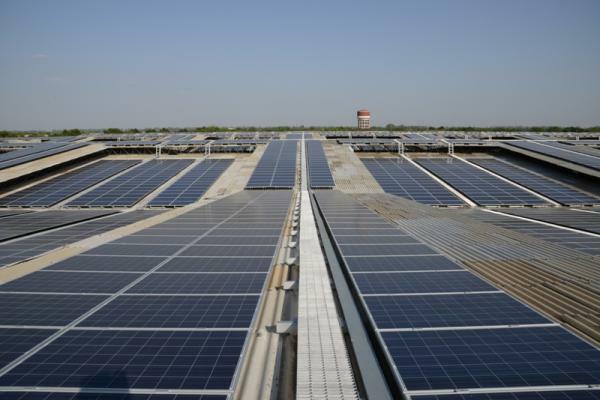 “Commitments to major new projects in India over the last month alone from firms such as ENGIE, Trina Solar, Hanwha Q Cells, First Solar, SkyPower and SunEdison read like a who's who of the largest and most successful renewable firms in the world," he adds. According to IEEFA's estimate, India’s power demand will rise by almost 60 per cent in 2022. In absolute terms, the demand will rise by around 50 billion units and touch 1,318 billion units per annum by 2022. "Combined with a major grid and energy efficiency drive, the doubling of domestic coal production and fivefold lift in renewable will see India exit this decade with not only a zero reliance on thermal coal imports, but also significant excess supply of domestic coal," says Buckley. Solar PV is technology intensive, with breakthrough innovations in efficiency, quality and reliability of solar PV plants happening almost every other day.Unfortunately, the Indian policy seems to be encouraging anyone and everyone with purely financial muscle to develop and set up these plants.The specifications are not so stringent(compared to those in developed nations), and there are hardly any stringent technical audits on design, layout and component selection post installation(I have seen many of these aspects being compromised).All that seem to matter to the Utilities buying solar energy are the units generated and lowest possible tariffs,with scant regard to the long term reliability of the plants, and their likely performance over 25 years.The whole game is reduced to seeking ways and means of cheap funds abroad and somehow reduce initial costs. Ideally, given that the Indian grid is less robust and stable compared to that in the developed nations, it should have encouraged as part of distributed generation,more of stand-alone, hybrid roof top installations,instead of grid tied large central plants to: 1.Maximize solar energy harvest(grid tied plants cannot export when the sun is shining and when the grid is down) 2.Directly empower the consumers 3.Avoid huge additional investments in T&D infrastructure and 4.Avoid T&D losses. The savings in 3.and 4.above could have been distributed as subsidies to roof top consumers directly. Germany has more than 90% solar PV installations evacuated below 11kv levels, almost all of them roof tops, with very few central plants above 500 kW.Of course, it did have a FIT which incentivised roof tops.